It's hard to capture photographs of the optimal blue bird day at a ski resort that constantly gets dumped on with fresh snow. 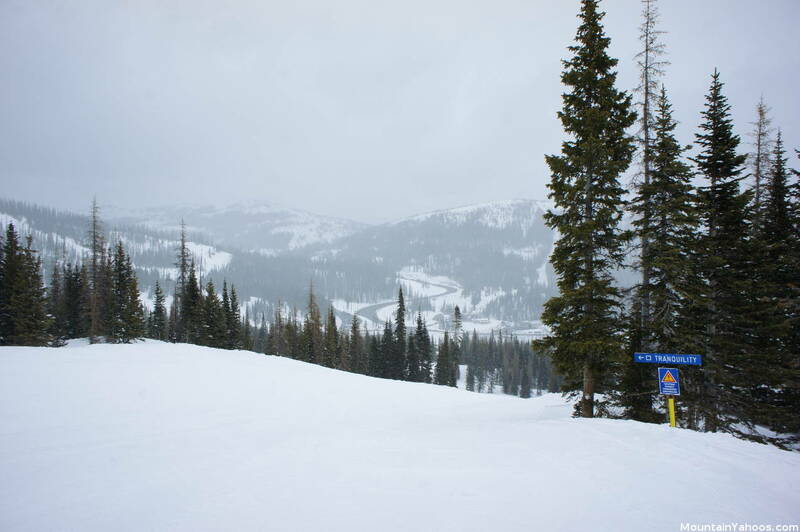 With an average of 465 inches of snow per ski season, Wolf Creek gets more snow on average than any other resort in Colorado. This resort is spectacular for advanced skiers and boarders as the upper bowls and vast array of gladed terrain have a decent pitch and an above average snowfall. 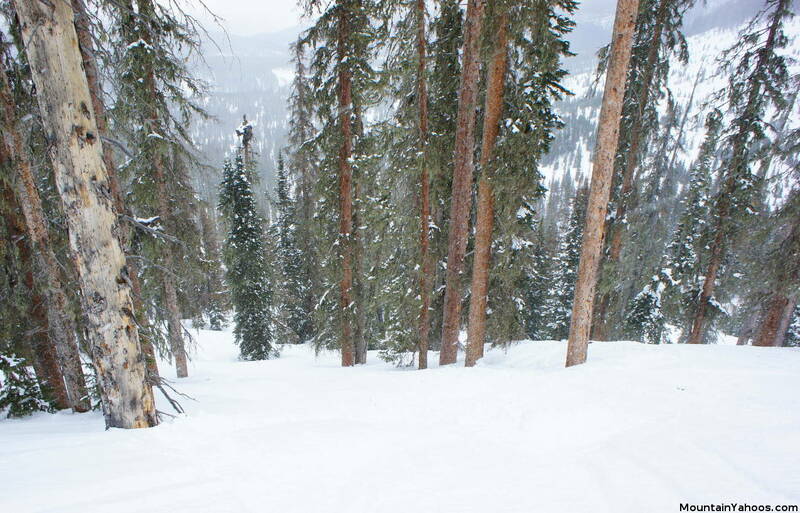 Wolf Creek resides on its' own in Southern Colorado, away from the masses from Denver who routinely head West to visit the resorts of Summit County. Without the shopping and restaurants of a glitzy resort, this little known resort doesn't have a "glam" reputation, but it is just right for the advanced skier who wants a variety of terrain and an abundance of snow. The lift tickets are also a lot less expensive than the typical Colorado destination resort and the lift ticket line might be the only line you see all day. 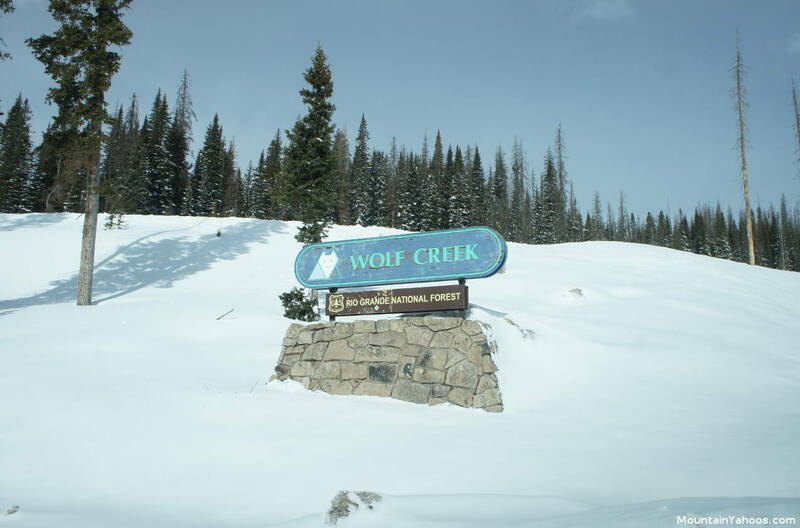 By the way, this Wolf Creek ski resort in Colorado should not be confused with the Wolf Creek resort lodging and Wolf Mountain ski resort, near Powder Mountain Utah. 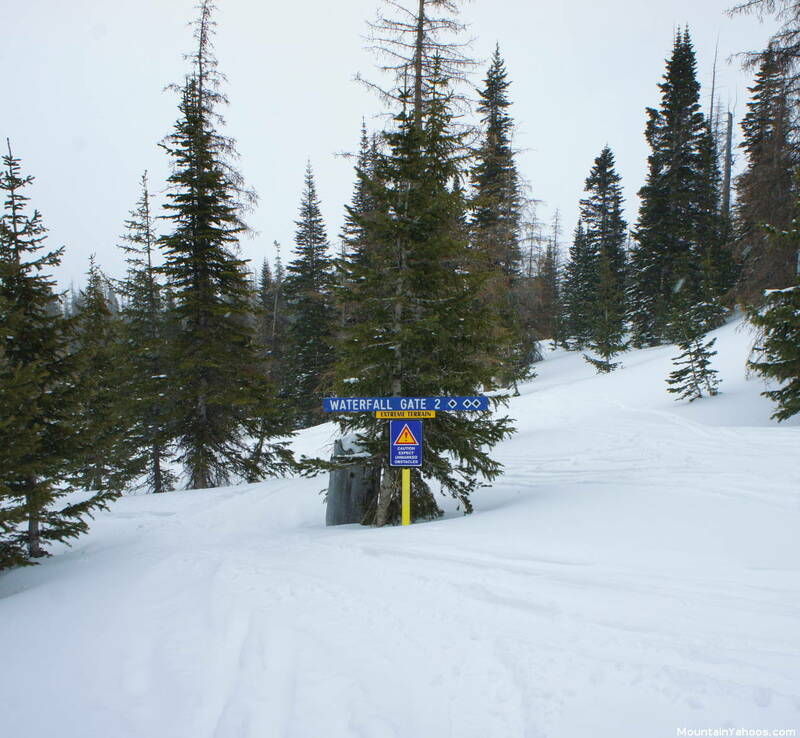 To avoid confusion the Utah ski resort renamed themselves "Nordic Valley Ski Resort". You would be very disappointed if you went to the wrong one. At 1,600 acres, the terrain may seem limited but it's all ski-able from the upper bowls and ridges to the trees which comprise the bulk of the acreage. The advanced skier will find the resort to have an endless number of options down the mountain while the beginner, not so much. The terrain truly is limited for the beginner with a few runs at the base and off of Raven chair. 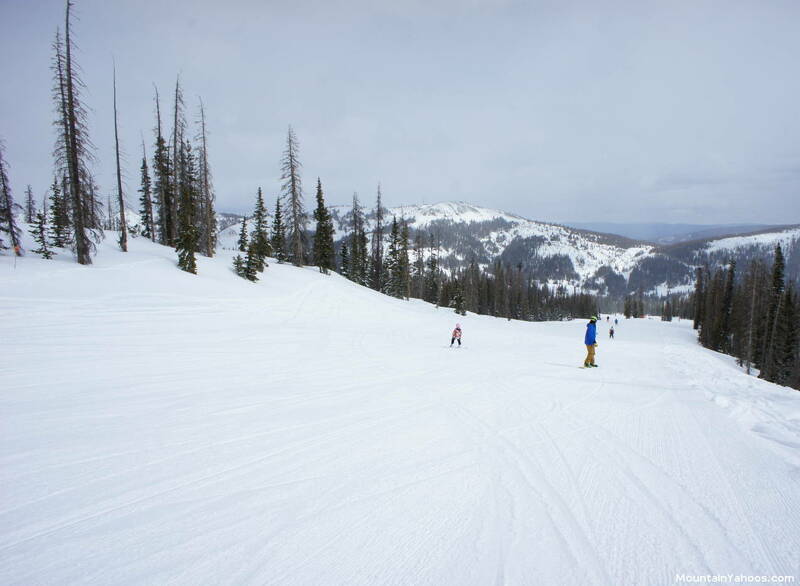 Wolf Creek has ample terrain for the intermediate skiers and boarders and somewhat limited terrain for the beginners (limited to the Raven Chair lift). 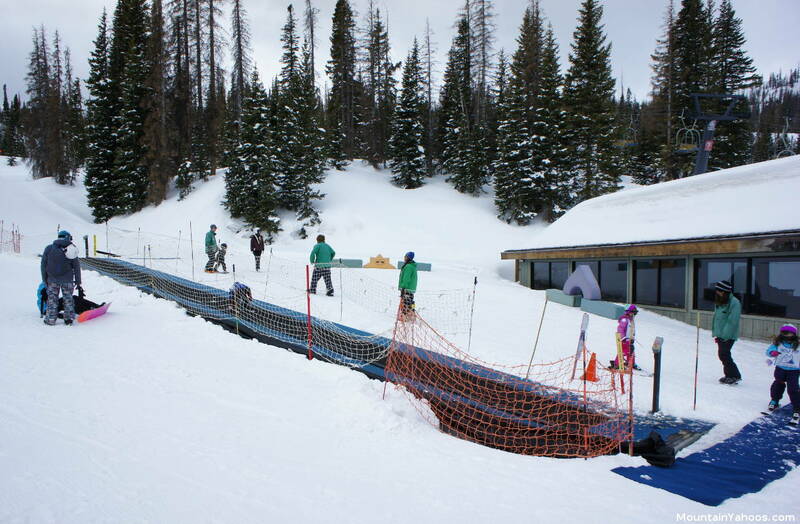 Children's Ski School and "Magic Carpet Lift"
While accommodating to those just starting out, Wolf Creek reserves its best terrain for the advanced skiers. Boarders will enjoy it too, but they will find some of the upper traverses annoying. 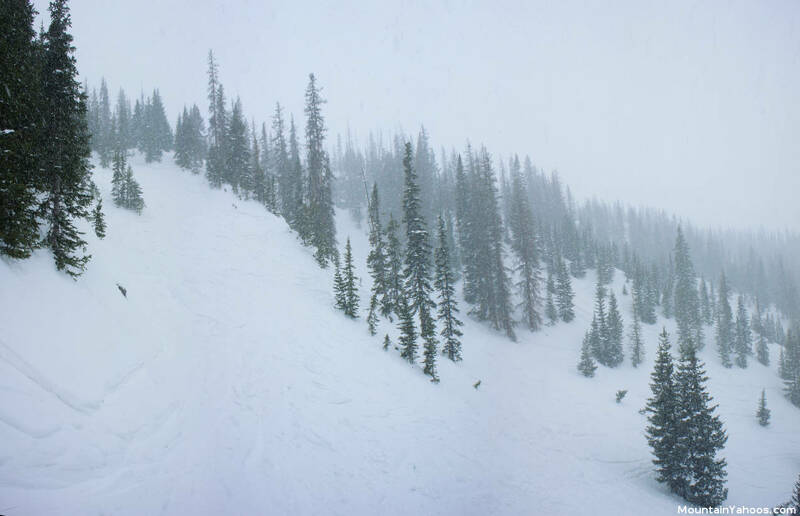 Other than the upper bowls and ridges and the base area, I would consider most of Wolf Creek to be tree runs. 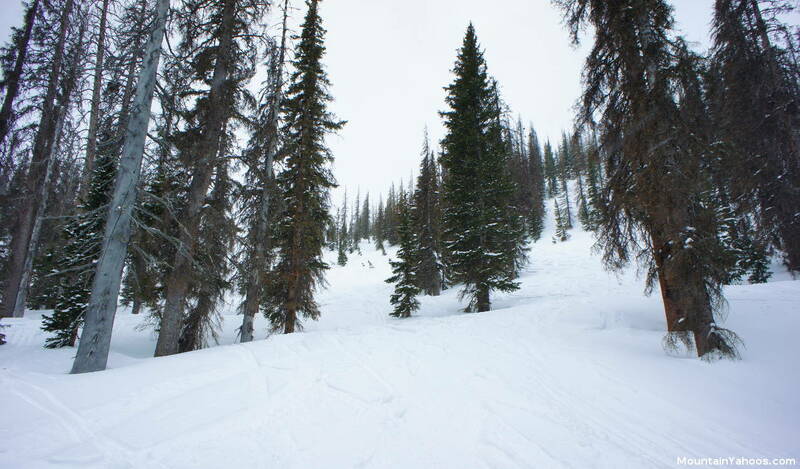 This resort is blessed with ideally spaced trees to both let the snow hit the ground and allow us to ski among the trees. This feature also makes each run a unique adventure as it is unlikely that you will even be able to find the path you took on a prior run. An especially fun area for the advanced skier is the "Waterfall Area". There are multiple entrance gates. Designated gates are required to avoid avalanche prone areas. Check it out if its open! The run "52 degrees trees" is appropriately named for its 52 degree incline through the trees but it also stands as a warning. Tree Runs: Waterfall Area entrance at "Gate 2"
Each and every time we have journeyed out to Wolf Creek, we have been hit with a heavy snowfall, mitigating the formation of moguls. The terrain is certainly steep enough and the skiers here are skilled enough to turn in a regular pattern conducive to the formation of moguls, but the heavy snowfall fills in all the troughs and ruts every time. There is an abundance of hike-able terrain at the upper elevations, some of it aided by snowcats. Bonanza Bowl and Exhibition Ridge: Accessible from either the Treasure Stoke lift or Bonanza Chair. Prospector, Glory Hole and Boundary Bowl: take Treasure Stoke lift and go left at the top to the avalanche gate. This gate closes at 3:30 pm daily. 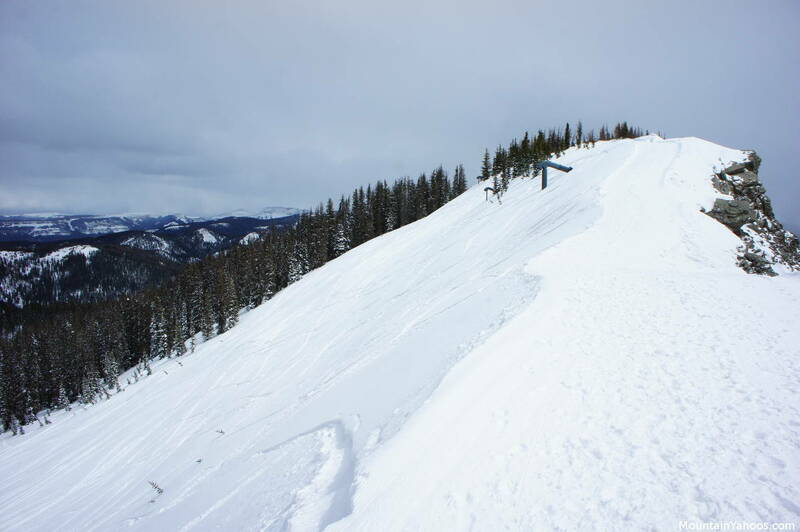 Montezuma Bowl: this terrain is marked as double black diamond. You can get to this terrain by taking the Treasure Stoke lift, going left, past Prospector, Glory Hole and Boundary Bowl to the second avalanche gate. this second gate closes at 3:00 pm. Alberta Peak, Peak Chutes and Step Bowl: your hike begins from the top of the Alberta Lift, go right. Pass through the avalanche gate to get to Alberta Peak. This access gate closes at 3:00 pm. When skiing Alberta peak you can venture straight down and left to continue through to Peak Chutes or stay on the skiers right to hit Step Bowl. 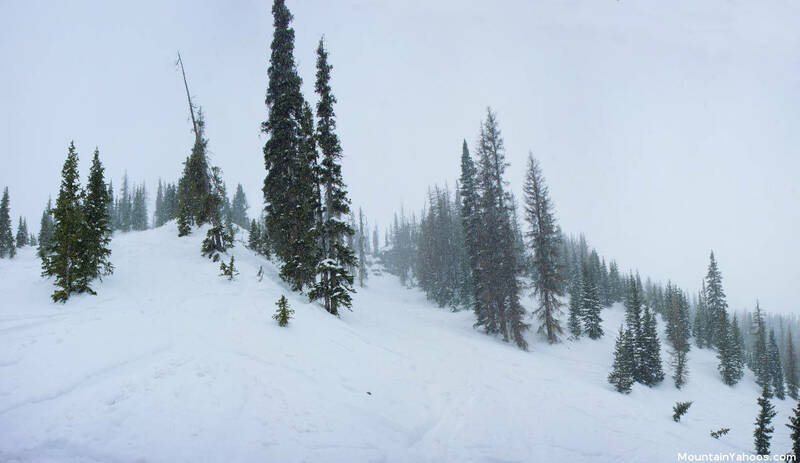 Horseshoe Bowl: From the top of the Alberta Chairlift one can take a short hike to the Knife Ridge Staircase to a trail which traverses along Knife Ridge to a snowcat which will take you to Horseshoe Bowl. Its quite an adventure and it is highly recommended for the expert skier. 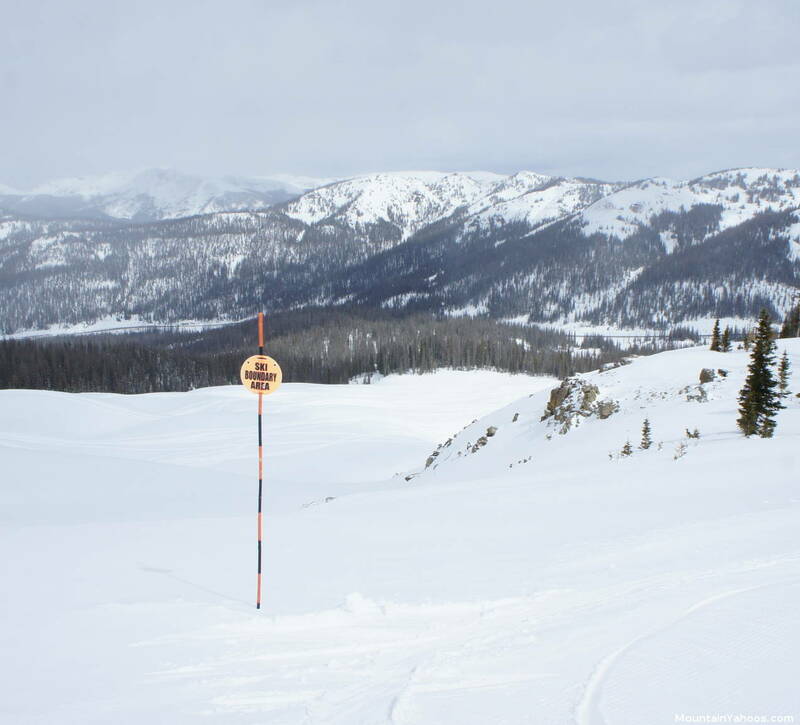 If one chooses not to go all the way to Horseshoe Bowl, one can cut down early to ski the Knife Ridge Chutes, some of the steepest terrain at Wolf Creek. Note that this gate closes at 3:00 pm. See our photo essay on Horseshoe Bowl. Out of bounds skiing carries with it the risk of avalanche danger and the terrain is un-serviced by ski patrol. While there are gates to exit the resort boundary, there is no easy way back to the lift. 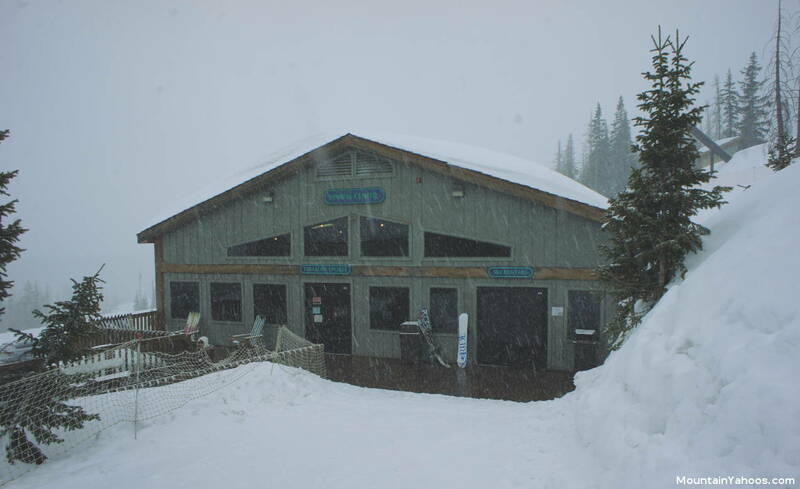 Remember to check for the latest conditions at the Colorado Avalanche Information Center and with the local ski patrol. 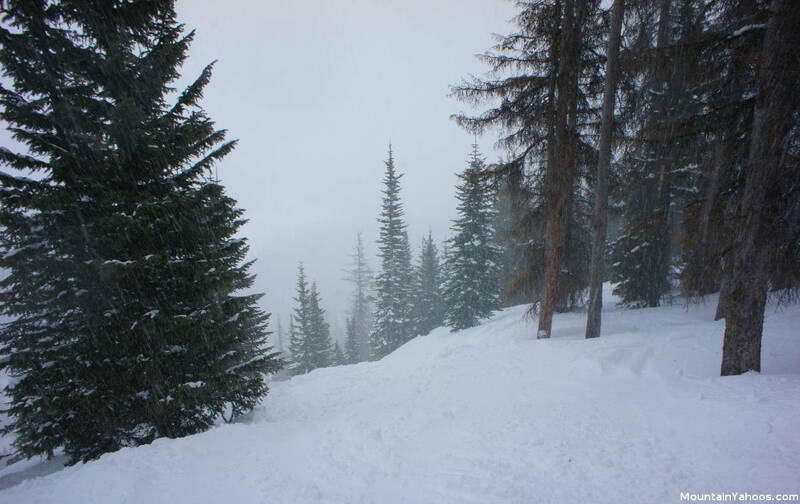 Northwoods: hike-able from either the top of Treasure Stoke lift or Bonanza Chair. The gate is between the peak of the two chairs. The terrain is steep and for the advanced skier only. You can see it on the trail map and you can also see that there is no easy return. Vast gladed terrain with an infinite number of fall lines. Even a day after a powder dump you can still have fresh tracks. Few people and no crowds. This helps preserve new snow so you can find an un-tracked line. Proximity to an international airport. Denver International Airport is far away. There are no terrain parks. With this much exciting terrain you won't be bored or in need. The facilities at the base of the mountain can take care of basic skiing and snowboarding needs. 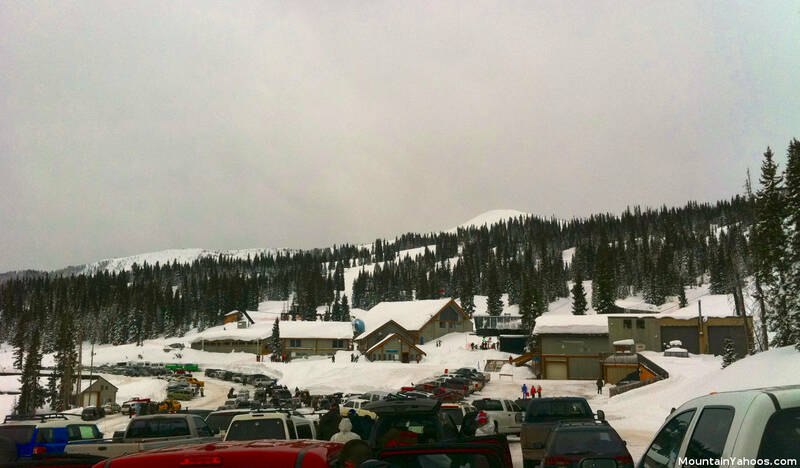 You will find the Ticket Office, Sports Center and Wolf Creek Lodge at the base of the mountain, but no accommodation. The Ticket Office is where you will buy your lift ticket or sign up for lessons. Also note that the children's ski school also has their own building. 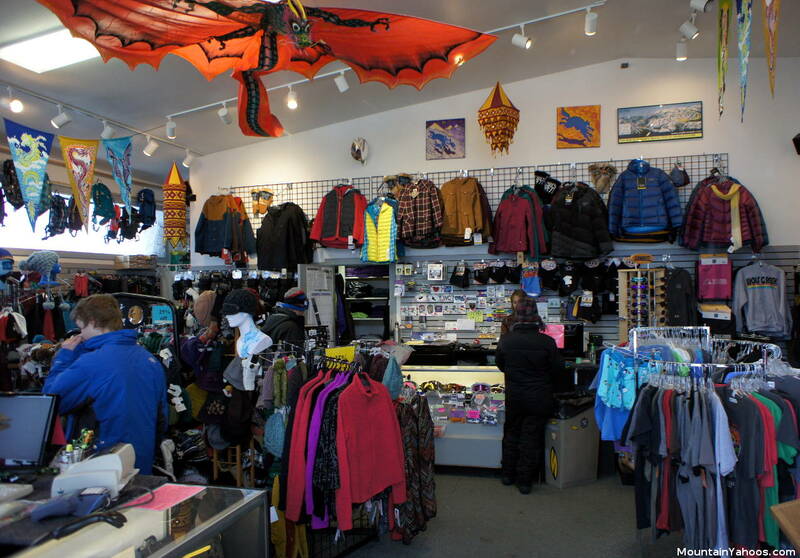 The Sports Center houses the equipment sports shop and rentals while the Lodge has a restaurant and cafe. In addition to the lodge you can also find the Prospector Grill serving up breakfast and lunch. 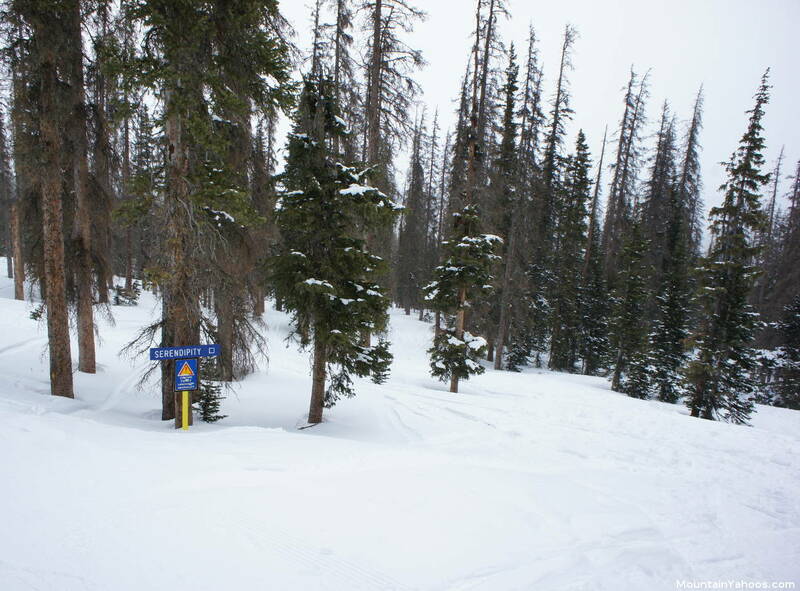 Wolf Creek is located in a remote area of Southern Colorado with no local ski town. The closest towns are South Fork Colorado twenty minutes away and Pagosa Springs Colorado a half hour away or you can visit the more significant Durango Colorado located an hour and a half away.